After a long couple days, and especially after Day 2 presentation marathon, I decided to sleep in a bit this morning. I had a commitment at midday to meet with the Premier team. 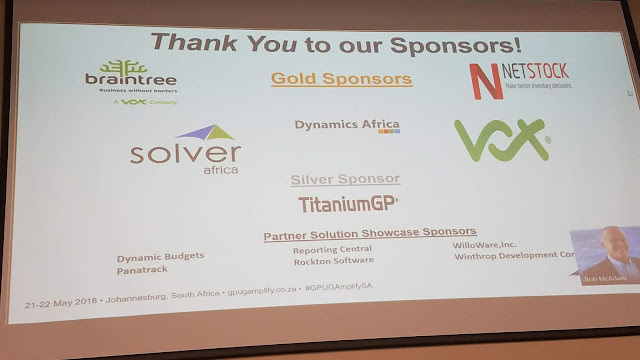 Premier has sponsored my trips to South Africa over the last two years, which has allowed me to participate in both reIgnite GP and GPUG Amplify South Africa conferences, so I wanted to take the time to thank them for their continuous support. We had lunch at Turn 'n Tender Steakhouse, located in the upscale Waterfall district. After lunch, I was in crunch time to get some presents for the wife. I decided to head to the nearby Mall of Africa, South Africa's largest mall built in a single phase, featuring 300 stores on 32 acres of retail space. 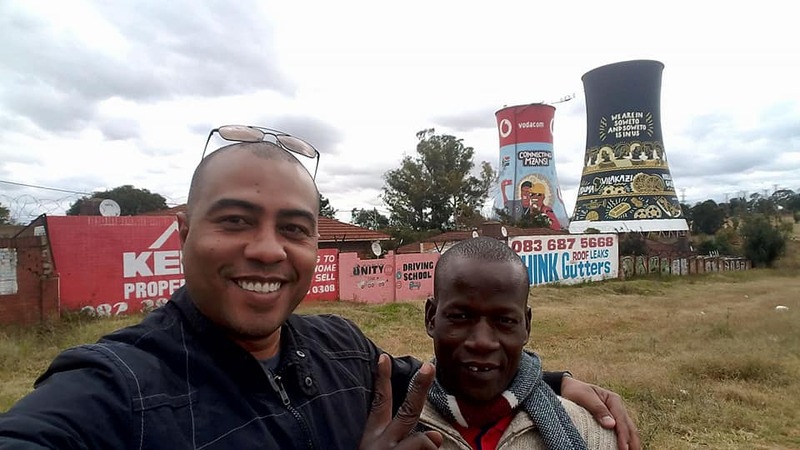 After a good hour and change of lingering around the mall, I headed back to the hotel and had a chance to share some local music with my Uber driver, Bongani. 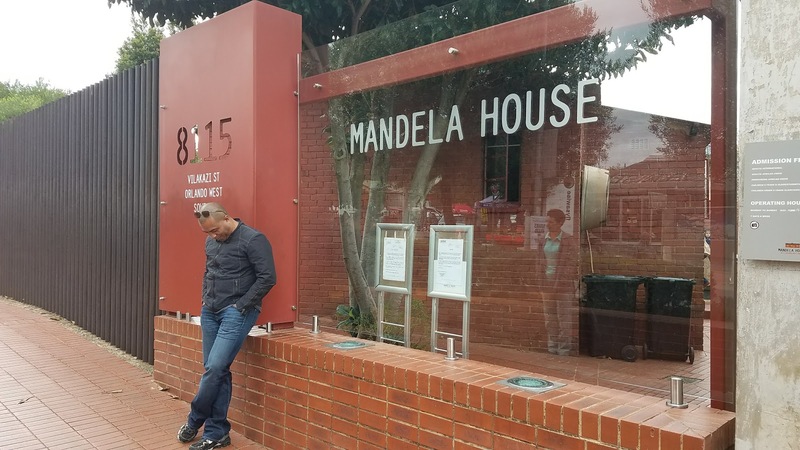 We had quite a bit of fun talking about life in South Africa and his upbringing. 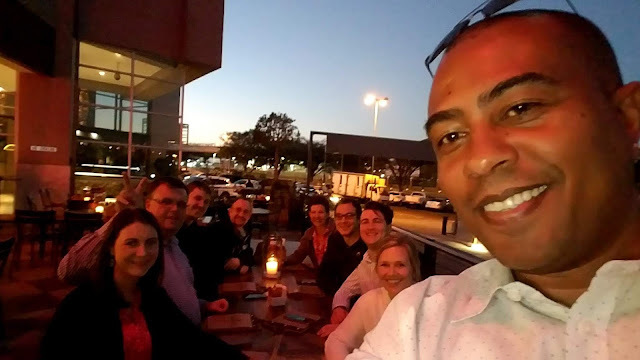 My good friend, Pieter Cornelius had arranged dinner at Tiger's Milk Cedar Square with a number of his colleagues from Braintree, along with the team from Dynamic Communities. It was truly an awesome evening, and if you ever need some food directions, go for the massive burgers :). 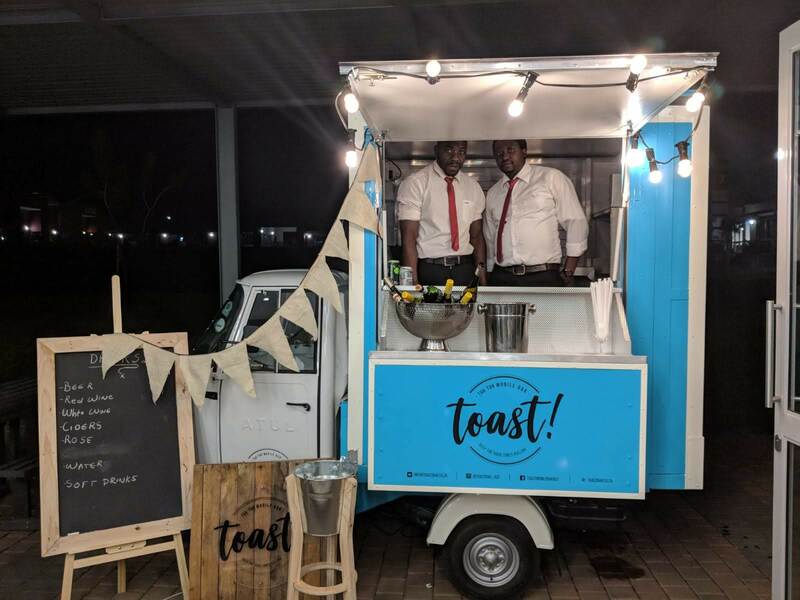 The place is also known for its extensive selection of beverages, including its own brewed Tigers Milk Lager. After returning to the hotel, we went to the bar for a final round of drinks, then it was time to pack. I could have actually done it in the morning, but where is the fun in that. 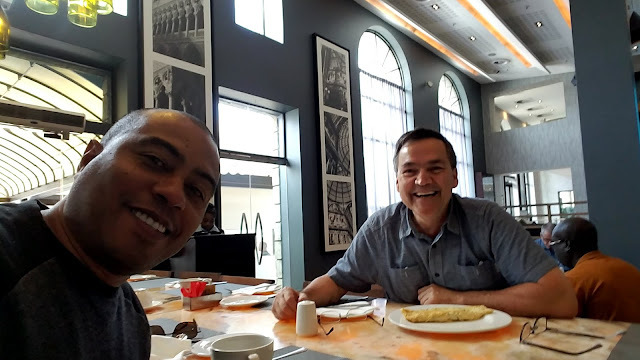 This was my last day in South Africa, so the morning started with breakfast at the hotel with Jennifer and David, then for last minute shopping. I picked up a couple of hand made bracelets and a pendant, all in tiger eye stones of various hues. It was also a nostalgic moment as I would be saying bye to my buddy David. Although we've done this for almost over a decade now, it's never easy to say goodbye. We finally managed to exit the buildings and into a beautiful morning outside, where we spent a few minutes walking around the property, before returning to our rooms for our suitcases to check out. 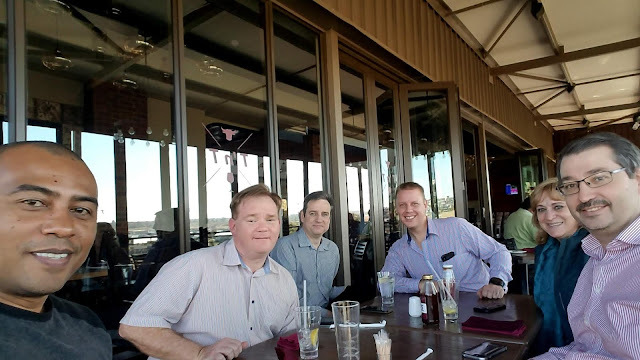 We had one final commitment and that was to go meet up with our good friend Tim Gordon (LinkedIn). 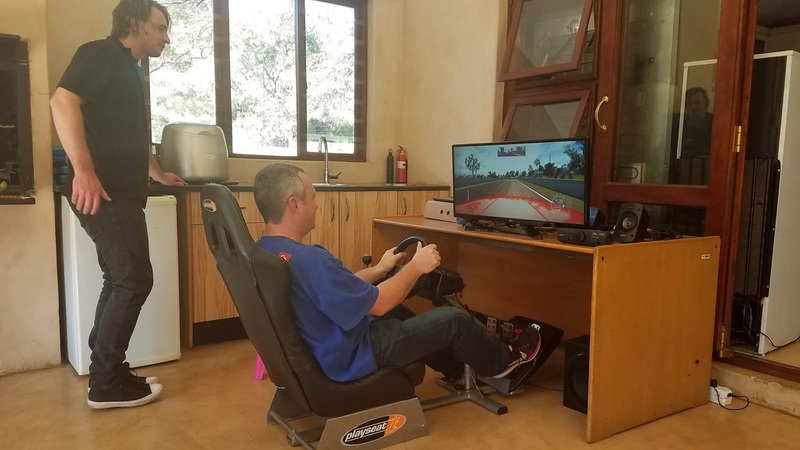 Tim is the director of AlphaSoft Dexterity Consultants and the developer behind DexSense, intellisense for Microsoft Dexterity. Tim had invited us over for a braai at his house, which we gladly accepted. We spent the morning discussing a few development topics, before we all jumped into full gaming mode. After lunch, it was time for me to leave to the airport and catch my flight back to the USA. 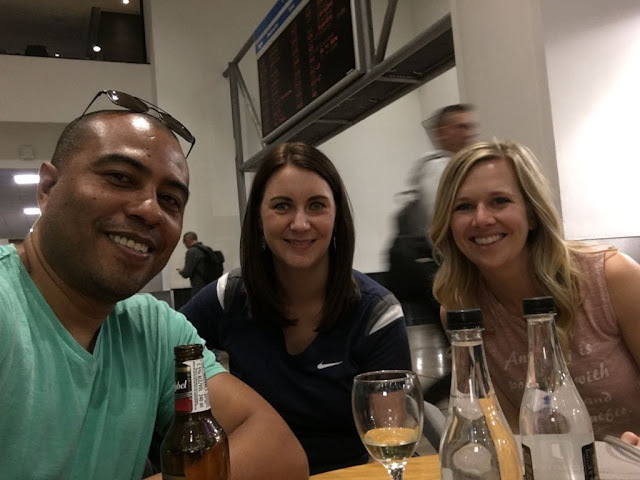 At the airport, I ran into Katie and Angie from Dynamic Communities, who were also on their way to the USA via Amsterdam. We sat down after clearing passport control and had a beer (or two) each. My flight was leaving earlier so I made it to my gate just on time for a final security check, then onto the plane. 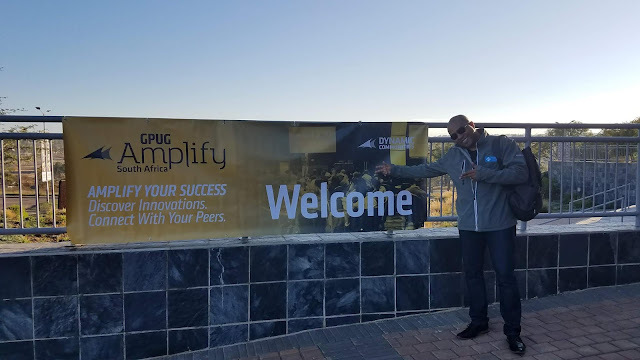 This concludes my series of articles about GPUG Amplify South Africa. I will be writing a wrap up article with links to all articles written and my final thoughts on the event. Day 1 of the conference was really hectic, but today would prove to be even more challenging as David and I had to deliver even more sessions than the day before. We had mixed attendance. Our Ask Us Anything session was attended by 4 developers in total, but with the few questions asked, we managed to talk for a full hour, nonstop! I believe the folks that walked into our session certainly walked away very happy, as they received almost one-on-one attention. Frankly, David and I were pretty happy with the way things turned out. 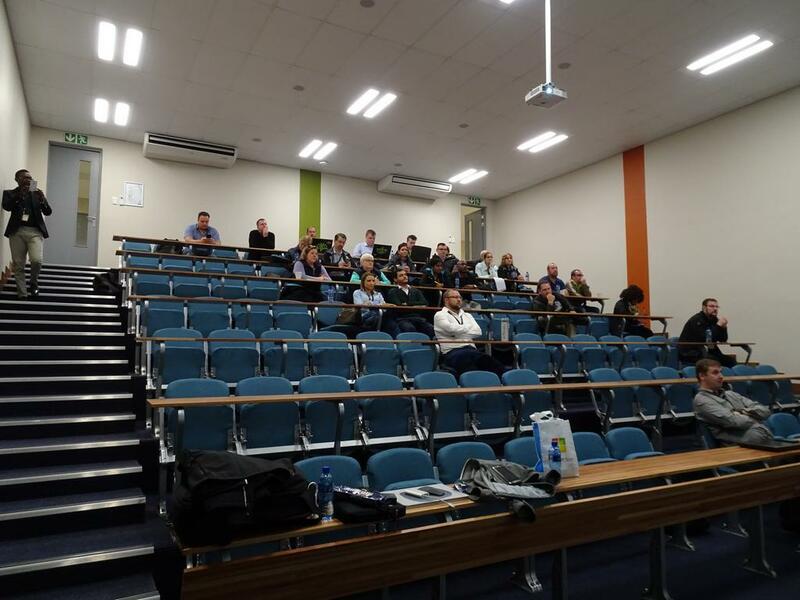 It is worth noting that most developers had attended our Friday session and were probably okay with attending something else. 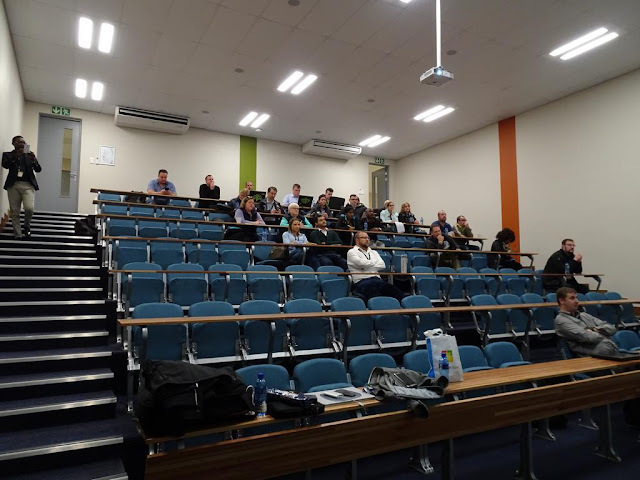 The Developing Microsoft Dynamics GP Extensions with PowerApps and Flow session had the most attendees for the day, with over 25 people. 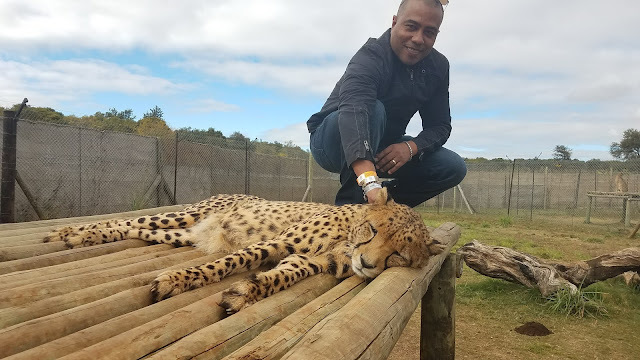 The session started with me trying to create the PowerApps and Flow app live, however, internet speeds were proving to be a challenge, so I had to revert back to using the pre-built demo. However, I believe I managed to get the key points across. All other sessions went down fairly smooth and without much to talk about. The Understanding Microsoft Dynamics GP Security was a session David had presented previously with fellow MVP Shawn Dorward so it was my duty to represent accordingly :) Before this session, our friend Miguel Lozano from TitaniumGP was on his way out to return to the USA, after his short but productive stint in South Africa. He was also on a support case with fellow MVP Ian Grieve from the UK and took this picture to justify why he wasn't getting back to him on time. The day ended with a few cocktails and an extensive buffet of lasagna, chicken, pasta, salad, rice, etc. However, after having a couple beers and a small plate, I was off to my hotel. It had been a few exhausting days up to that moment. 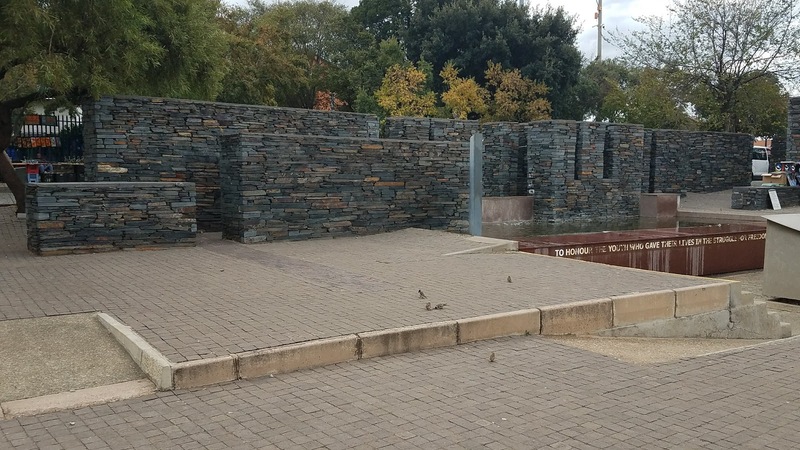 Upon return to my hotel, courtesy of my Mekorma colleague, Adriaan Davel, I went back to my room and got a quick freshen-up to go to dinner, not without snapping this panorama picture of the Sun Square plaza with the dying sun in the horizon. David, Jennifer, and I had dinner plans and made it over to The Raj Indian Restaurant after their return from buying more biking supplies - David and Jennifer would be traveling to Spain in a couple days to go off biking. While the conference was officially over, there were still a couple of commitments I had on the following day, before saying goodbye. More on that tomorrow. Having some fun over the weekend, while here in Johannesburg, was good, but Day 1 of the conference was now here and it was time to unleash the wealth of information that David and I had prepared for this conference. The morning started with a small tech check since Bob McAdam, VP and General Manager of GPUG would be dialing in via Skype, from his hometown in Tampa, to kickoff the day's event. Katie Froeber, did a small recap of the agenda and it was all Bob from there on, introducing all the new features in Dynamics GP 2018. Although communication was spotty at times, the content was clearly communicated and attendees were rather receptive to the overall future set. 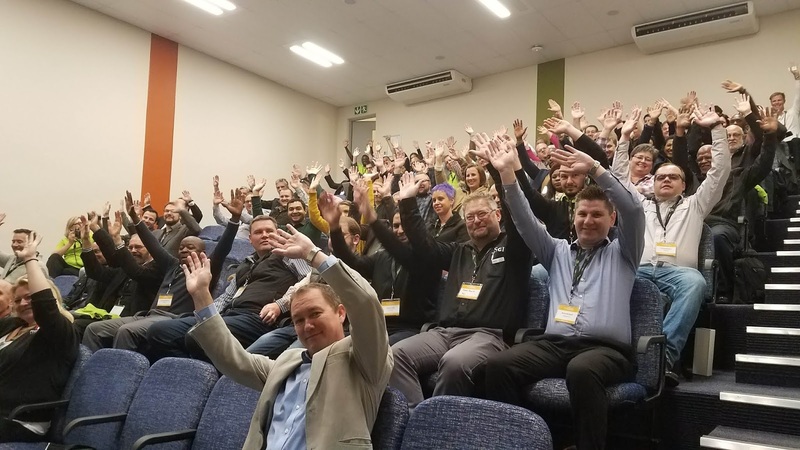 As is customary, and before the agenda was introduced, David and I got the usual "wave photo" from attendees. Several times throughout the presentation, there were thank you notes to the event sponsors. It is worth mentioning that ISVs and VARs in attendance were more than happy to present their products in the expo area, but I feel should have gotten at least 5 minutes on stage to present their companies, products, and services. All conference attendees were treated to 1 year of free GPUG membership, which I thought was a pretty nice gesture from Dynamic Communities. I encourage all who received this benefit to take full advantage of the perks from day 1, including webinars, past webinar recordings, chapter meetings, etc. 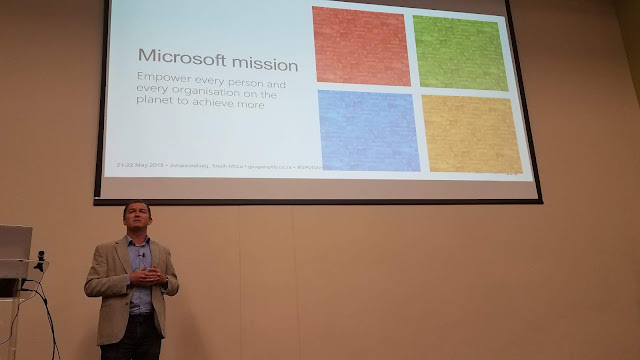 It was time for the main keynote speech, by Wessel Pieterse (LinkedIn), Senior Sales Manager, Azure Applications and Infrastructure at Microsoft. Wessel's presentation, Transforming Business for the Digital Age (here), walked through Microsoft's commitment to cloud and how the company is transforming the global landscape with its 50 Azure regions and 100+ datacenters, along with a discussion on the Intelligent Cloud, presenting enough reasons and compelling benefits (both business and economic) for moving to the cloud. 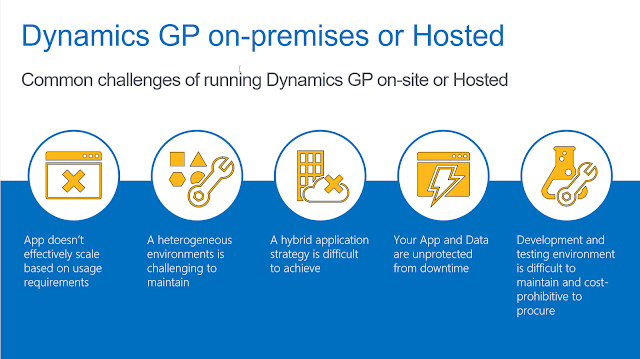 The one slide that stood out for me was this one, which outlined the challenges of running GP on-premise or in a hosted environment. Once the keynote ended, David and I went off to present our sessions. 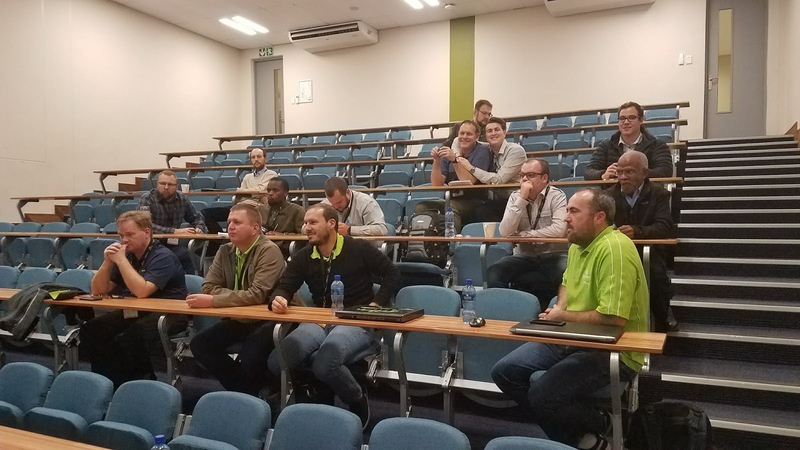 Our first session, Microsoft Dynamics GP 2018: Customizing the User Interface was low in attendance, but we had a chance to discuss the topic in a very intimate setting, with the few attendees that came along for the ride. 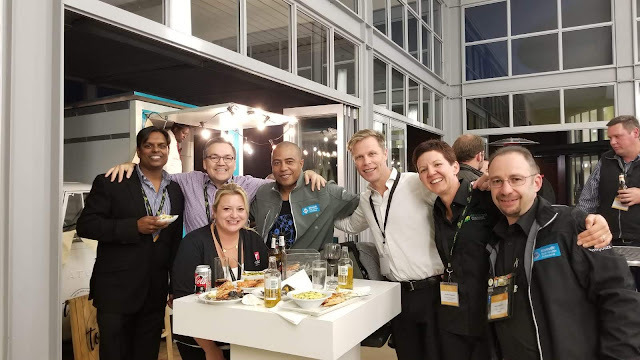 After our session, we went to show some support for Alicia Weigel, from Rockton Software, who was delivering the Making Dynamics GP Work Simpler & Easier, a partner solution showcase presentation of the products currently sold by Rockton. It was time for lunch. We mingled and took it easy for a bit before our next session. After lunch, David and I went to deliver his partner solution showcase session, Simplify Administering your system with GP Power Tools. 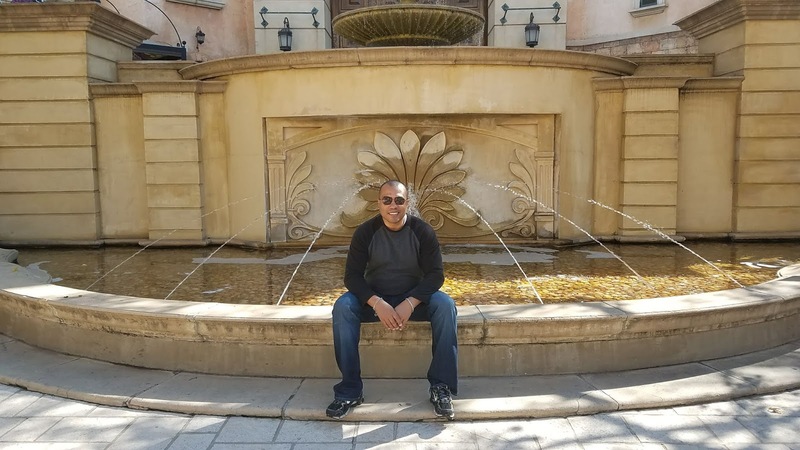 This was a 30-minute session showcasing the administrative features of the product and was spent demonstrating these capabilities. Following that session we did Yet Another 25 Dexterity Development Tricks and Hacks in 45 minutes, which was well attended. The previous year, at reIgniteGP 2017, we had presented both the 25 Dexterity Development Tricks and Hacks and the Another 25 Dexterity Development Tricks and Hacks sessions, which were very well attended, so this time we added yet another 25 to build up on the previous 50. All tricks and hacks presented to date are a part of the slide deck which can be found here. After all sessions, Pieter Cornelius from Braintree delivered even more good news to all attendees by introducing the new South African GPUG chapter which he will be chairing with the help of David Joosten from Premier Foods, one of the largest Microsoft Dynamics GP sites in the region with close to 1000 GP users. It was now time for the welcome Cocktail Reception and Expo. After a busy day yesterday, at the Developer Day session for the Braintree dev team, it was time for some a little R&R and getting to know a bit more of Johannesburg. 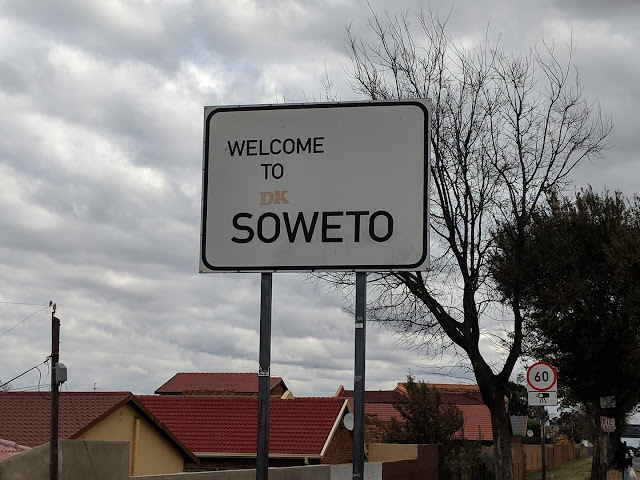 Jennifer, David's better half, arranged a tour to the Lion and Safari Park and the Township of Soweto - Soweto is short for South West Townships. Our driver, Pike, arrived at 8:00 AM local time to take us on our tour. 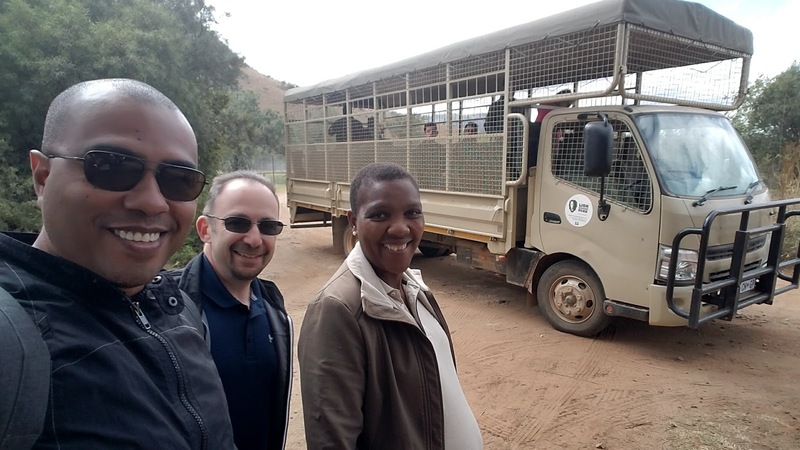 The initial arrangement was to first do a tour of the township, then go to the Lion's Park. Pike suggested we did the opposite to better enjoy the experience, as the Lion and Safari Park would be less concurred. We went with his recommendations and it turned out to be a great decision. After arriving, we arranged for Pike to buy our tickets which gave us access to all the park's attractions: petting the lion's and the cheetah, a tour through the park, and the new hyena and leopard exhibits. 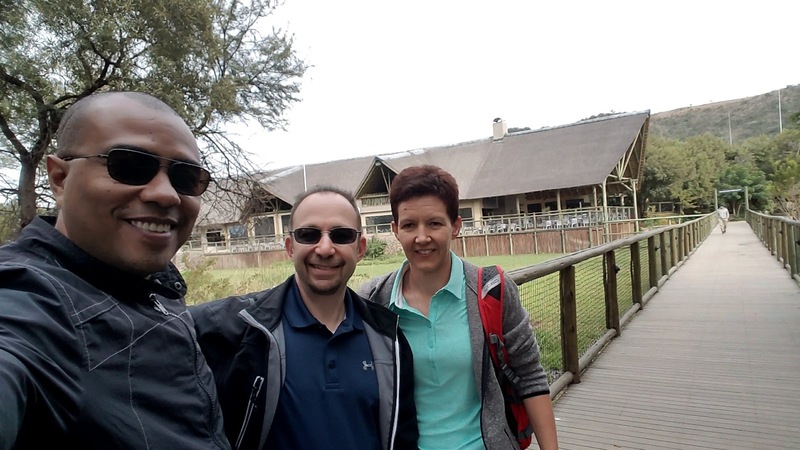 After completing the tour through the park, we were off to our next adventure in the township of Soweto. 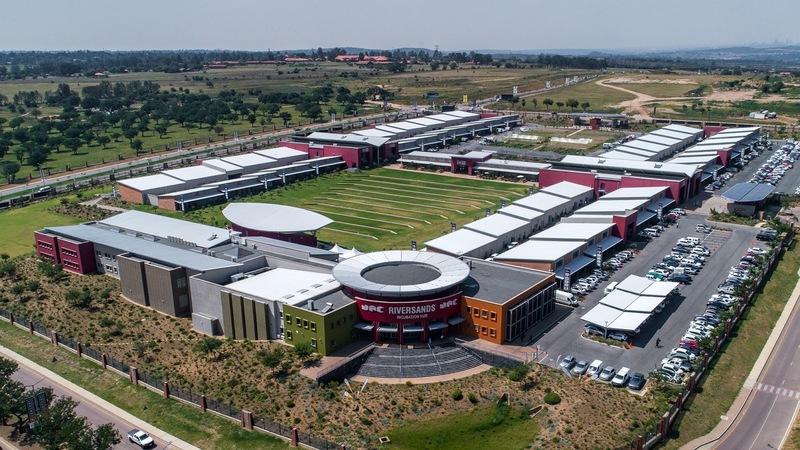 On our way there, we stopped at the First National Bank (FNB) Stadium (formerly known as Soccer City and The Calabash), located in Nasrec, bordering Soweto. David and I literally jumped out of the car to go take pictures of this engineering marvel. This stadium can accommodate close to 88,000 people. FNB Stadium is host to some of the best football and rugby matches, both domestic and international. I found this promo video on YouTube, which gives you an idea of the sense of pride. 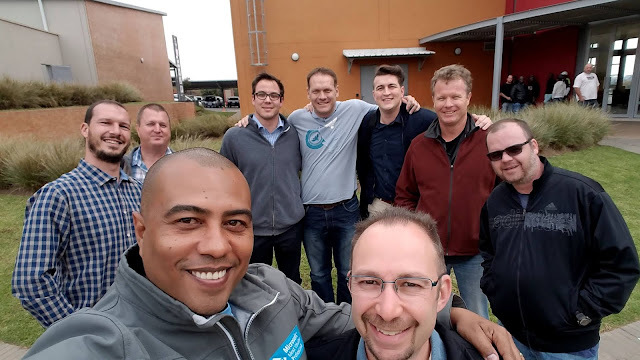 After our stop at FNB we stopped at the Orlando Towers for some food. Originally the site of a coal fired power station, the Orlando Towers have become one of the most distinctive landmarks in the neighborhood of Soweto and the site of the world's first bungee jump between two cooling towers, as well as other thrilling adventure sports such as abseiling and SCAD (suspended catch air device) falling. 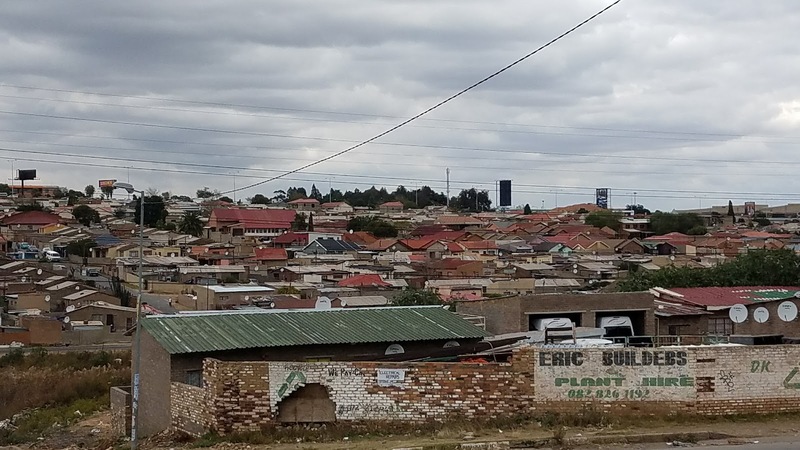 Both of the 33-story towers are completely covered in brightly colored murals, one of which depicts scenes and images from the township's culture and the other with corporate branding. We had lunch at the famous Chaf Pozi Restaurant and Bar. 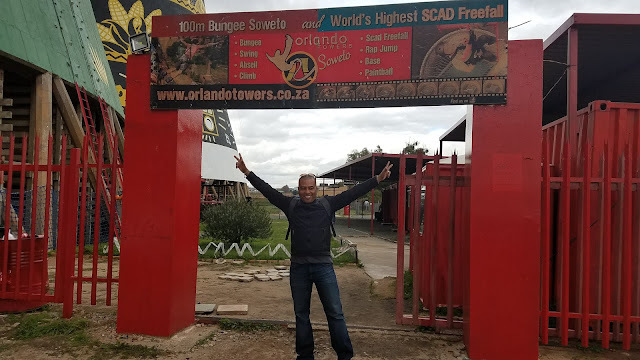 We decided to treat our tour driver to launch and ordered some good BBQ, while we watched a few of the braves bungee jump from the platform between the two towers. Off we went into the township and started off at the internationally recognized welcome sign. The evolution of this place has been from one of forced habitation to an address of pride and social prestige as well as a destination in its own right. After a hectic day, David, Jennifer and I were dropped off at the hotel, where we met up with the rest of the group as we would be having dinner with Pieter Cornelius from Braintree, Kathie and Angie from Dynamic Communities, and Alicia from Rockton Software at The ROCK Diner in the Design Quarter in Sandton, a very . This morning I woke up fairly early and went down to grab a coffee. Minutes later, my good friend Miguel Lozano from TitaniumGP made his appearance. Miguel had flown from San Diego to Zurich, had a long layover, then flew from Zurich to Joburg for the conference. Brunch was planned from a few days aback with a number of the guys from Braintree and their families, so we ended up going to FEGO Caffé Montecasino. 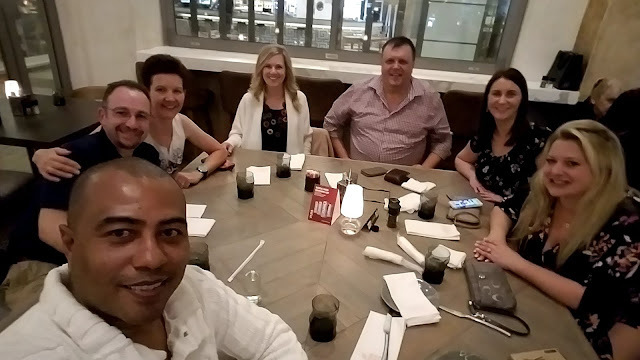 I was joined by Jennifer and David Musgrave; Liezl and Adriaan Davel, my colleague from Mekorma in South Africa, Janet and Mitch Holfeld, and Christel and Ben Strachan. Miguel Lozano joined us a bit later as he was freshing up from a long trip. 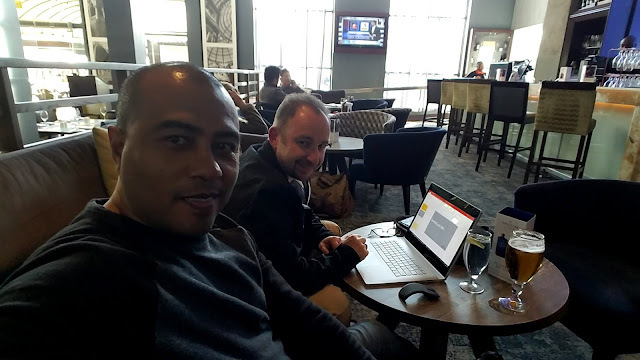 Back at the hotel, I took a power nap and met up with David in the afternoon to go over our sessions and presentation plans. After ensuring all our slide decks were in order and working through minor details, it was almost time for dinner. 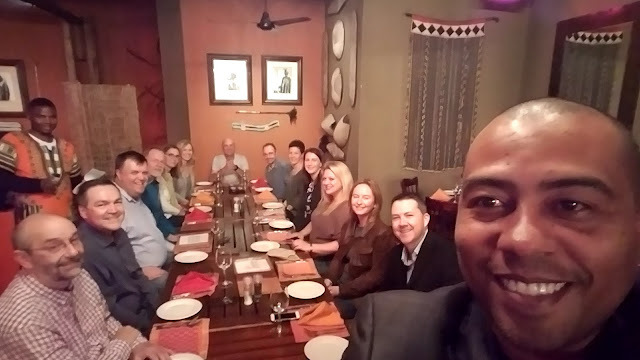 Pieter had plan a big dinner for all international guess and sponsors, at Chief's Boma Restaurant, located on the premises of the Indaba Hotel, Spa & Conference Centre. 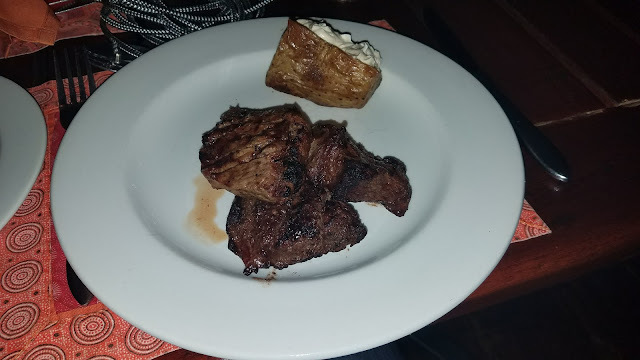 Chief's Boma offers a unique African cuisine experience and I wasn't going to shy away from some good sirloin, buffalo, and ostrich to get my gastronomical fix. Back at the hotel, it was time for some rest as the conference would officially begin tomorrow. 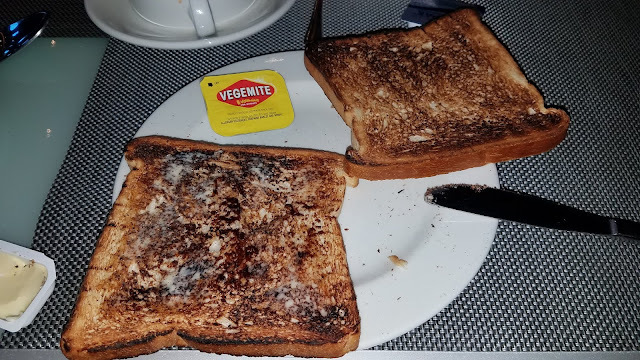 What would a delectable breakfast look like without Vegemite? After breakfast, we were picked up by Adriaan and his cousin, to be taken to The Canvas Riversands Venue, a modern business incubation hub, for our Developer Day Session with the Braintree software development team. 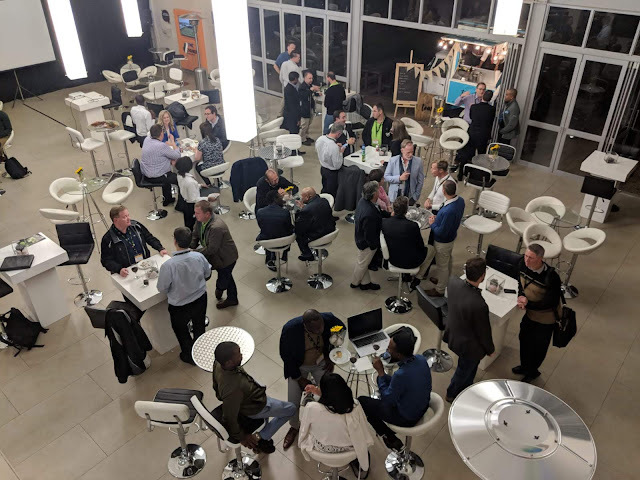 This magnificent facility will also serve as the primary venue for GPUG Amplify South Africa 2018. During the first half of the day, we cover all the Microsoft Dexterity proposed topics and went through an in-depth look at the software development lifecycle of a Dex application. In the afternoon, we covered the remaining agenda items and showed practical examples of developing Azure Functions and PowerApps and Flow. 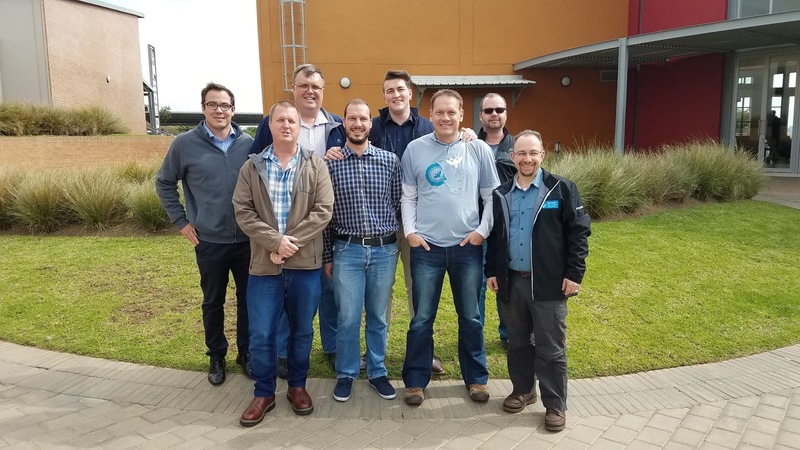 The team had a special interest in understanding the trends emerging from the recent Microsoft Build 2018 conference in Seattle. 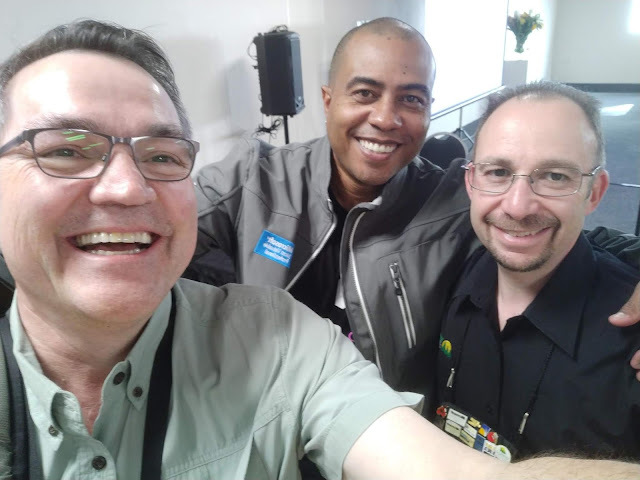 We touched up on the AI powered cloud, which stood out as primary topic, then looked at Microsoft Azure Stack and the Azure Blockchain Workbench. 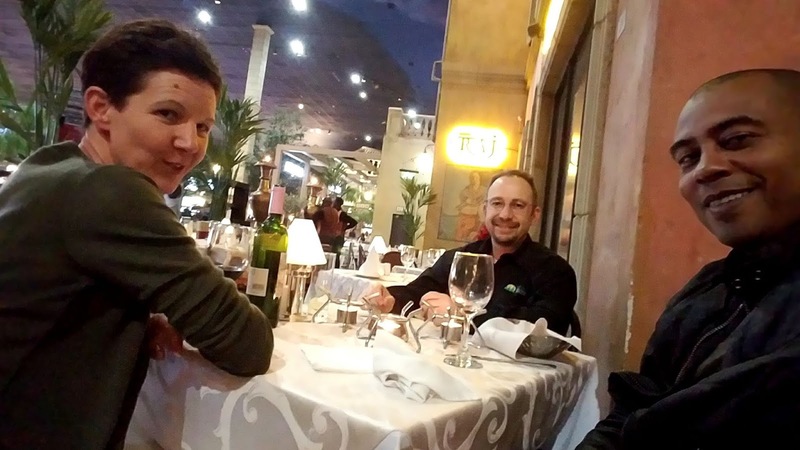 Back at the hotel, I took a power nap, then met up with Adriaan and Liezl Davel for dinner. 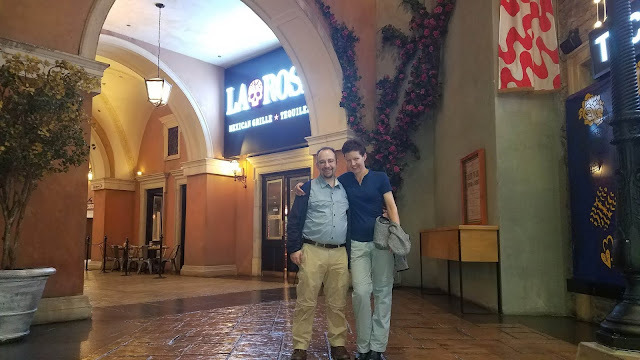 We spent a lovely evening at the excellent Kai Thai Restaurant talking about life in America - Adriaan and Liezl are in the process of relocating to the USA. After a long day, it was time to call it a day and be up early for the next adventure.